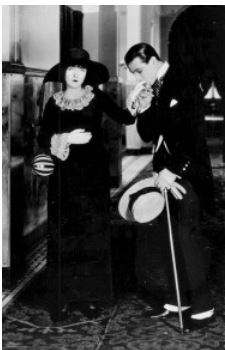 In 1919, the silent movie “Nobody Home” starring Dorothy Gish, Rudolph Valentino, Ralph Graves, Raymond Cannon, Vera McGinnis, George Fawcett, Emily Chichester, Norman McNeil, Kate Toncray, Porter Strong, and Vivian Montrose was directed by Elmer Clifton, the screenplay was written by Lois Zellner, cinematography was by Lee Garnes and John Leezer and released by Famous Players-Lasky Corporation. Portions of this movie were shot on location at Castle Green, Pasadena, CA. The movie is about a superstitious young woman who is wooed by two men one was a villain and other virtuous. Every decision Frances makes is based on the stars, or cards. Let’s take a look at the history of where this movie was filmed. 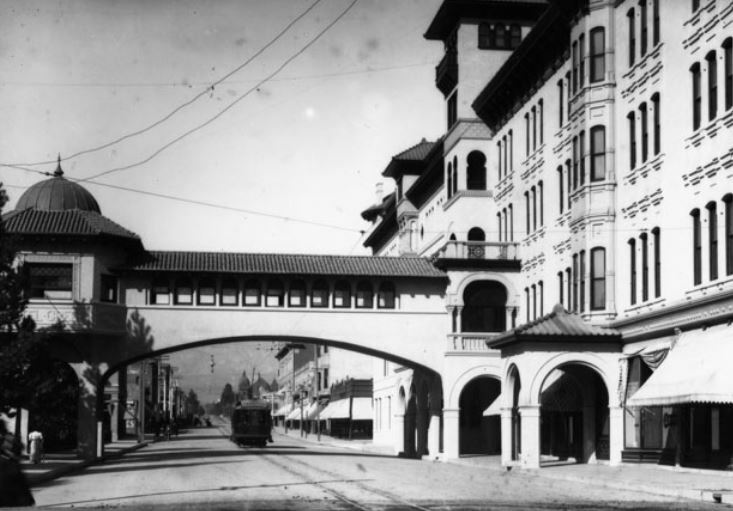 In 1887, businessman Edward Webster financed a passenger station that linked the Intercontinental Santa Fe Railroad line in downtown Pasadena. Next to the passenger station he attempted to build a small hotel. The hotel project was financed by COL George Gil Green. Although the hotel started out small Edward Webster became too ambitious that met with disastrous financial results. In 1893, unable to pay his loan to COL Green the two stories unfinished hotel acquired a new owner. COL George Gil Green a native of New Jersey, military veteran of the Civil War, a patent medicine entrepreneur was a wealthy man from the creation and sales of L.M. Green’s August Flower and Dr. Boschee’s German Syrup. In 1894, the Castle designed by Frederick Roehrig and built in a Spanish-Moorish Colonial style was opened for business. In 1899, after numerous expansions, Castle Green re-opened and was an even greater financial success under the management of COL Bowler. The hotel was the sight of cotillions, card parties and banquets with settings of glittering crystal candelabras. Guests would stay the entire winter season. In 1903, the demand was so great that the hotel was expanded further. The rich and famous of the day stayed there such as the Rockefellers, Vanderbilt’s, Roosevelt’s, etc. In 1905, COL Green had a float which was an oversized carriage with a picture of his hotel on the side it in the Tournament of Roses Parade. In 1916, COL Green leased the property to Daniel M. Linnard. 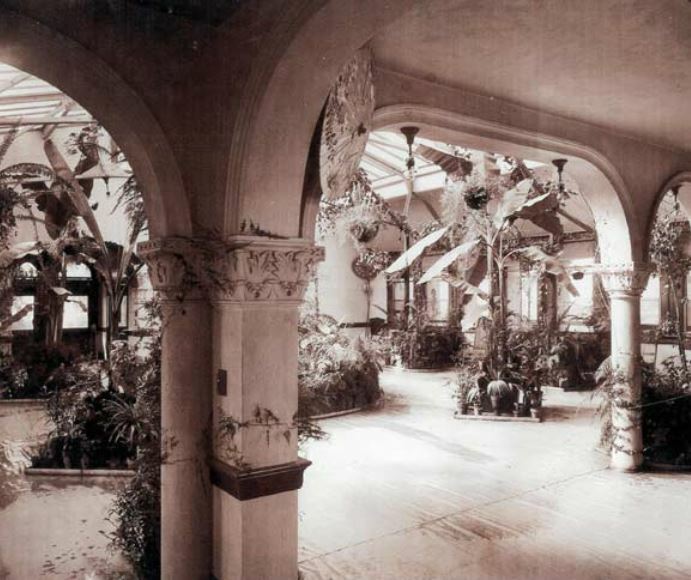 The property was split in two — the original building was to be turned into a “medium priced hotel,” while Castle Green would cater to upper class guests. In 1919, Famous Players-Laskey Corporation filmed on location scenes of their movie titled Nobody Home. 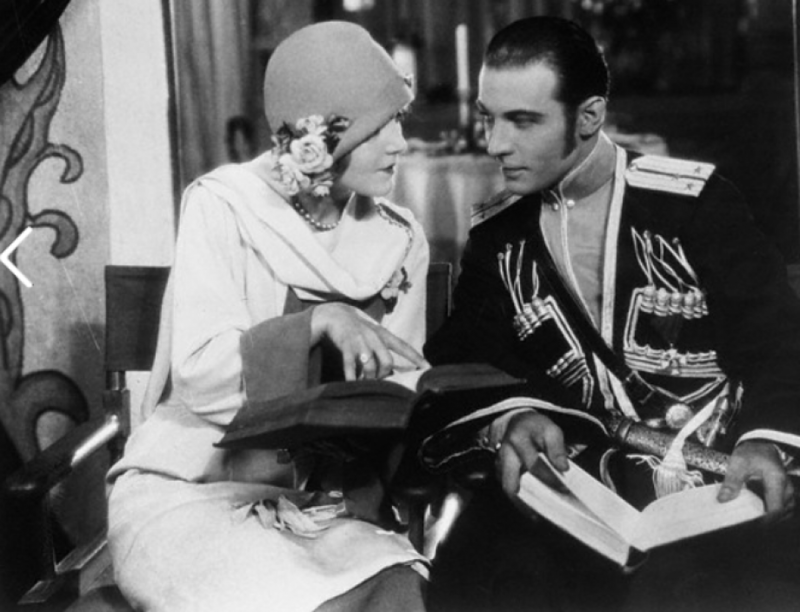 The hotel’s ballroom was where Dorothy Gish and Rudolph Valentino once danced the night away. On 26 February 1926, COL George Gill Green died in Woodbury, New Jersey. COL Green’s son George Gill Green II who was born on 17 Jan 1883 died January 1971.